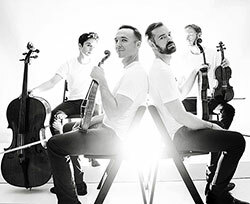 The pathbreaking JACK Quartet performs the complete Elliott Carter string quartets, following their appearance at Wigmore Hall, London. Composed between 1951 and 1995, the quartets will be performed in one program with two intermissions. JACK Quartet. Photography by Shervin Lainez.